What are the chances that a cat, crashes a catwalk?! Slim. But it happened. At the Esmond Fashion Show in Istanbul in Turkey. Attendees at the show were only delighted at the stray cat wandering on to the runway, with many photographing and filming the event. The cat even took random swipes at the models as they professionally got on with the gig. 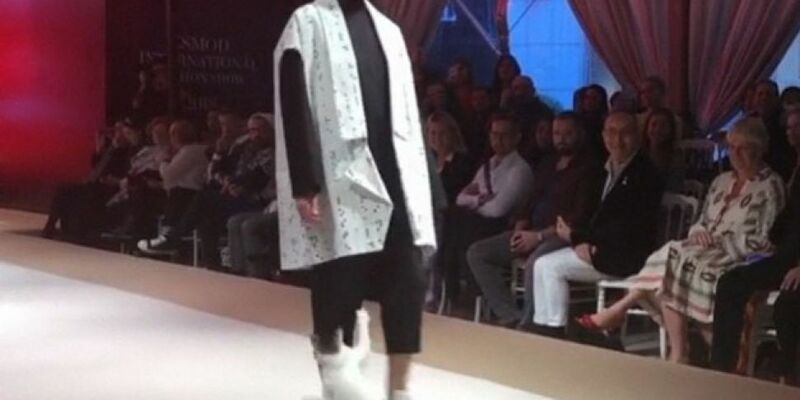 The fashion designer, whose show it was Göksen HakkÄ± Ali,said that “Everybody was in shock." When asked if the cat had a future in fashion, he said “Haha, maybe, why not?”. Enjoy the pics.